Ladies and gentlemen, before take off there are a few things we would like to clear up for you in order to make your travels easier and more relaxing. First, please remember to print your ticket, water your plants, clean your home (no one wants to come home to a dirty house after a long trip) and speak with your friend about getting your mail while you’re gone. Second, know your baggage travel rights. Every airline has their own overweight fees and bag allowances for carry-ons and checked bags, so please also check your airline’s website before packing. Also, please be aware of what you may and may not pack in your carry on bag, as we wouldn’t want to ask you to throw away any items that are important to you at the security gate. And please, last but not least, make note of what to do in case of emergency. What emergency are we talking about? Well, having your luggage damaged, delayed or dare we even say it, LOST by your wonderful airline. Right from the start of your check in at an airport, your carrier should provide you with an identification tag for each of your checked baggage. Make sure this happens, as it is the only way to connect you to your luggage once you leave your bags with the carrier. The carrier is liable for damage sustained to your checked belongings, or losing your checked belongings, as long as the damage took place on board the aircraft or during any period within which the checked baggage was under the responsibility of the carrier. However, cases in which the damage resulted from poor quality of your bag, or inherent defect, the carrier is no longer liable. The carrier is only liable for damage that has come from fault of its own or its agents. Although, if the carrier can prove that luggage was damaged during its delay and its agents took all measures that could be reasonably required to avoid said damage, then the carrier is again, not liable. Please also keep in mind, that if the carrier can prove that the damage was caused or contributed to by the negligence of the person claiming compensation, the carrier may be wholly or partially exonerated from its liability. How long you have to claim what is rightfully yours. In cases where the carrier has admitted to the loss of your checked baggage or if your checked baggage has not arrived at its destination within three weeks of the date which it ought to have arrived, you as the passenger are entitled to enforce against the carrier the rights which flow from the contract of carriage. In the case of damage you need to complain in writing to the carrier within seven days from the date of receipt in case of checked baggage, and within fourteen days from the receipt in the case of cargo. For situations where your luggage has been delayed, you must make your complaint in writing within twenty one days from the date on which the baggage or cargo have been placed at your disposal. If you do not make formal written complaints in the time allotted for each situation, then no action shall lie against the carrier. What can and can’t you take with you in your carry on. You may be asking yourself about your carry-on. 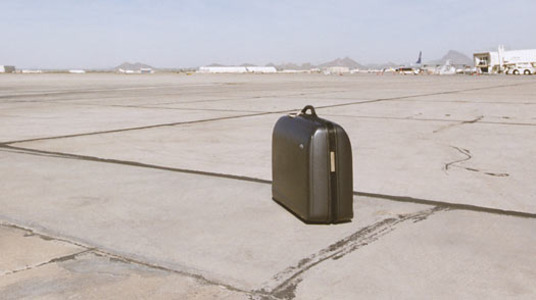 It is important to note that every airline has different rules for the dimensions and weight of your carry-on luggage. So before you fly, you will need to check with your airline about that. However, airports and airlines tend to follow the 3-1-1 rule. That’s 100ml per container in 2 quart-sized clear, plastic, zip-lock bag, and 1 bag per passenger. Don’t worry moms, you can declare larger liquids for baby formula/food. Just make certain to check with your airlines about those. A great tip for drinks is to have an empty plastic bottle and then fill it up after security. That way you save money on buying expensive airport water. Besides your carry on, you are also allowed to bring a personal article like a purse, briefcase, backpack or laptop case. In order to save space and weight you can put some of the smaller but heavier items in the smaller bag, (like a book, papers etc.). It is also highly recommended that you put some spare clothes in your carry-on luggage. This way, if your bag does get delayed or lost you have a change of clothes. Bottom line, make sure to take a look at your particular airline’s rules for luggage. Some airlines charge only for bags that are checked, while others charge for your carry-on too. The last thing that you want is to bring a bag and then find out that you have to unexpectedly pay for it. Thank you for choosing Airhelp and have a safe flight!